Microflite will take you there in the style and elegance this event commands. Make a memorable arrival to the centre of the track, and relish the exquisite food, fun, and fashion, of the Caulfield Cup. 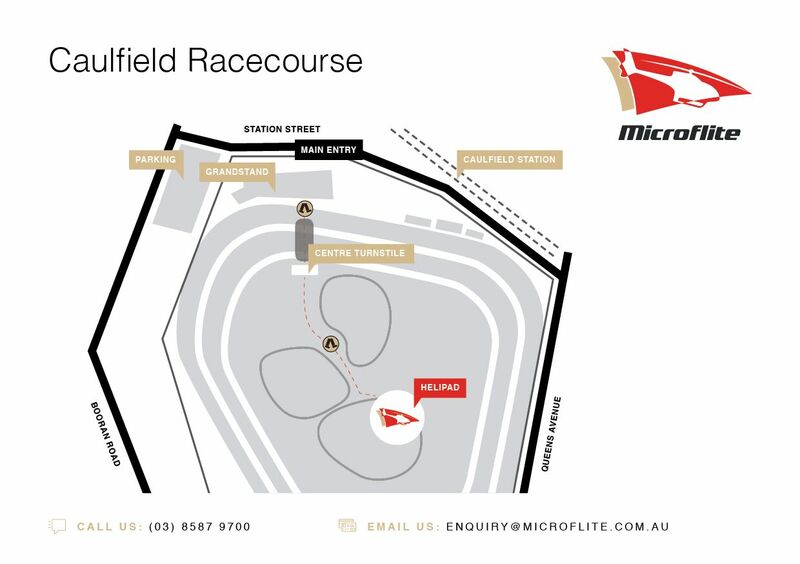 Multiple departure times to and from Caulfield Racecourse available from Melbourne Heliport, Melbourne (Tullamarine) Airport and Moorabbin Heliport. 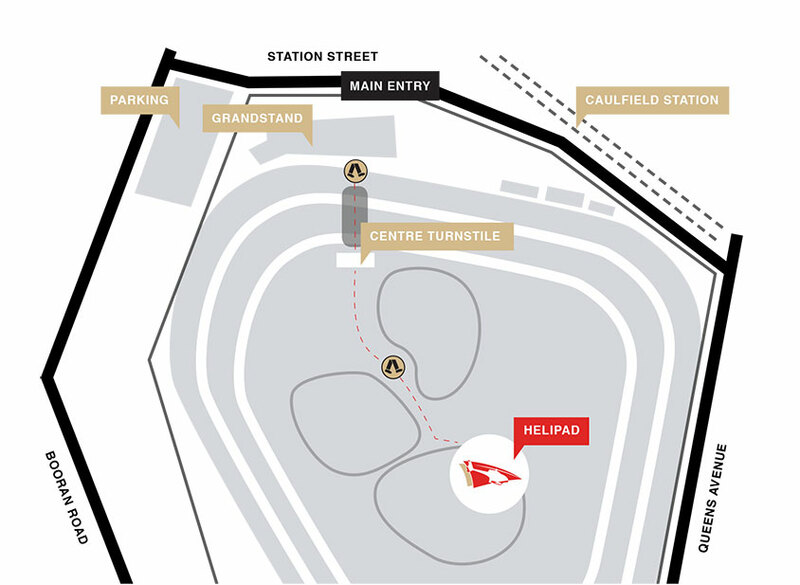 How do I get to the entry of Caulfield Racecourse from the helipad? Are there bathroom facilities at the Caulfield Racecourse helipad? There are no bathroom facilities at the Caulfield Racecourse helipad. Please make use of bathroom facilities elsewhere at the event before making your way to the helipad.